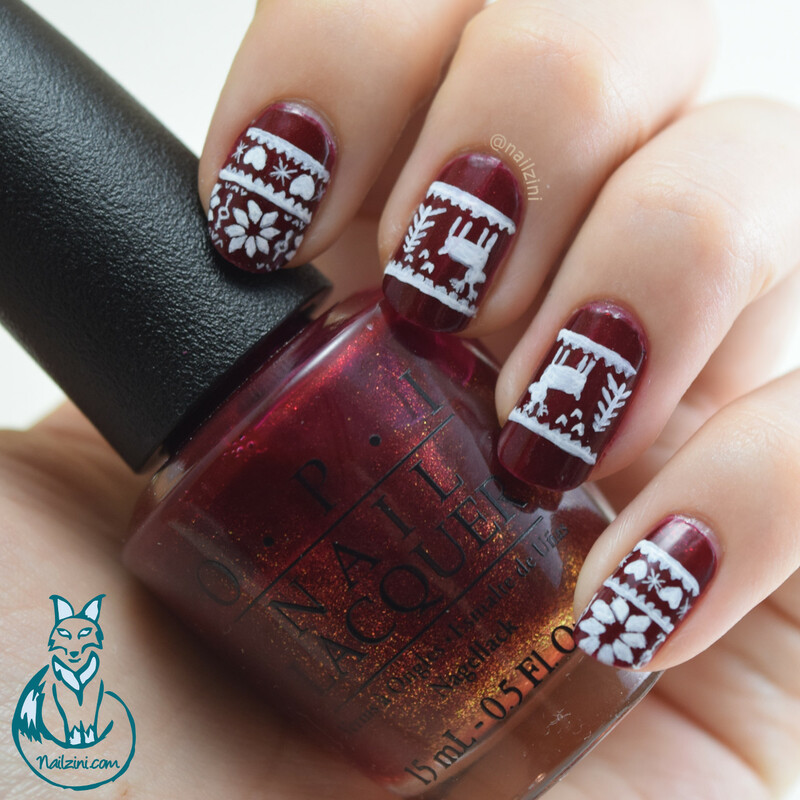 The base coat is a shimmery red called "Red Fingers & Mistletoes" by OPI. 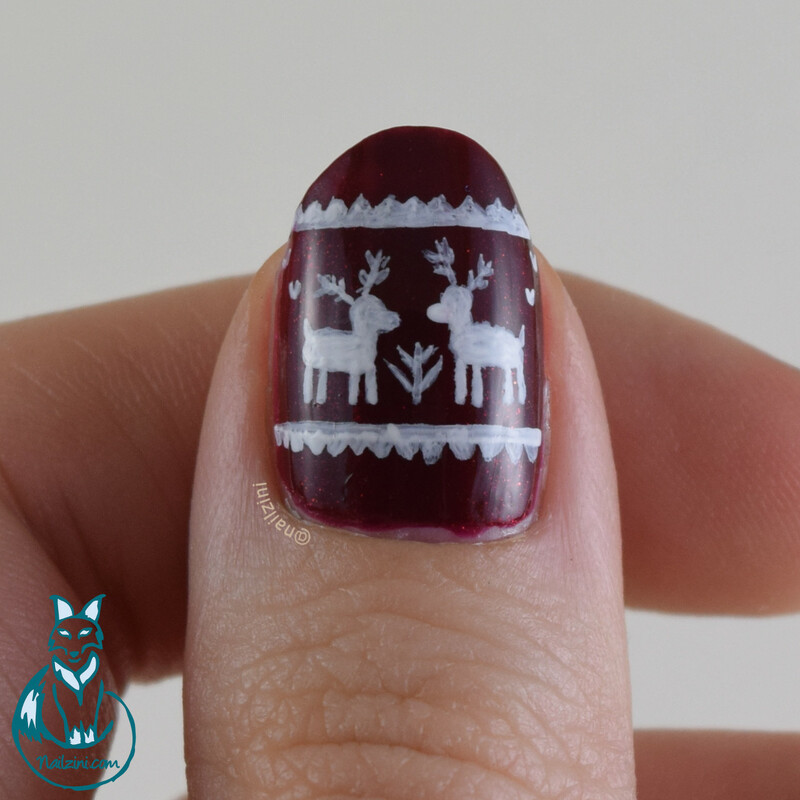 It's the perfect Christmas color for this sweater nail art. 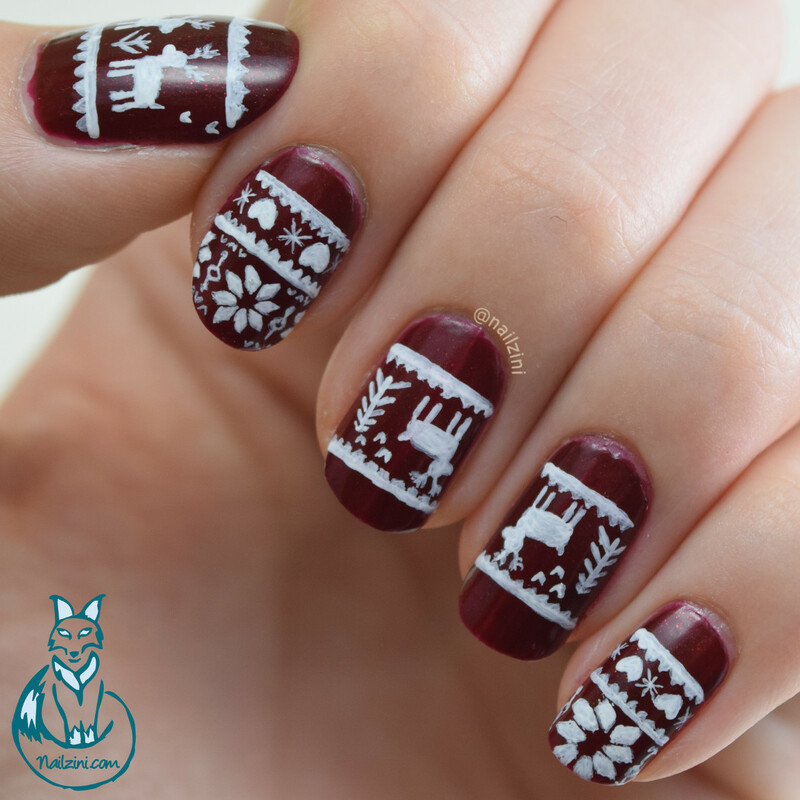 The design is hand-painted using white acrylic paint and the "Edinburgh Realism 3" brush by Stylishnailartshop. 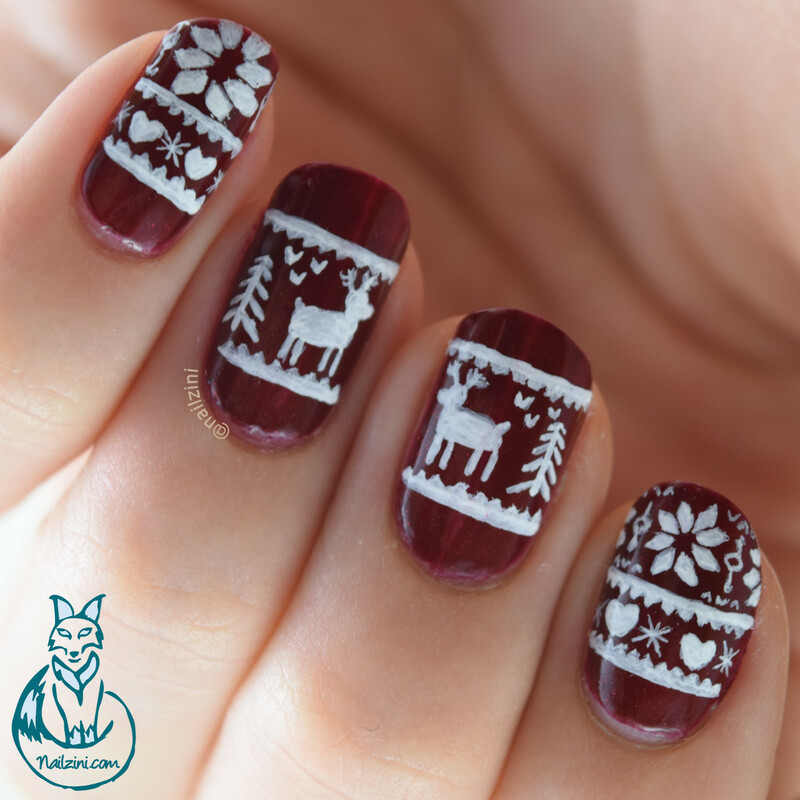 My inspiration for this pattern came from a couple different Christmas sweater images I found on google. Close-up for the little reindeer. How cute are they!! 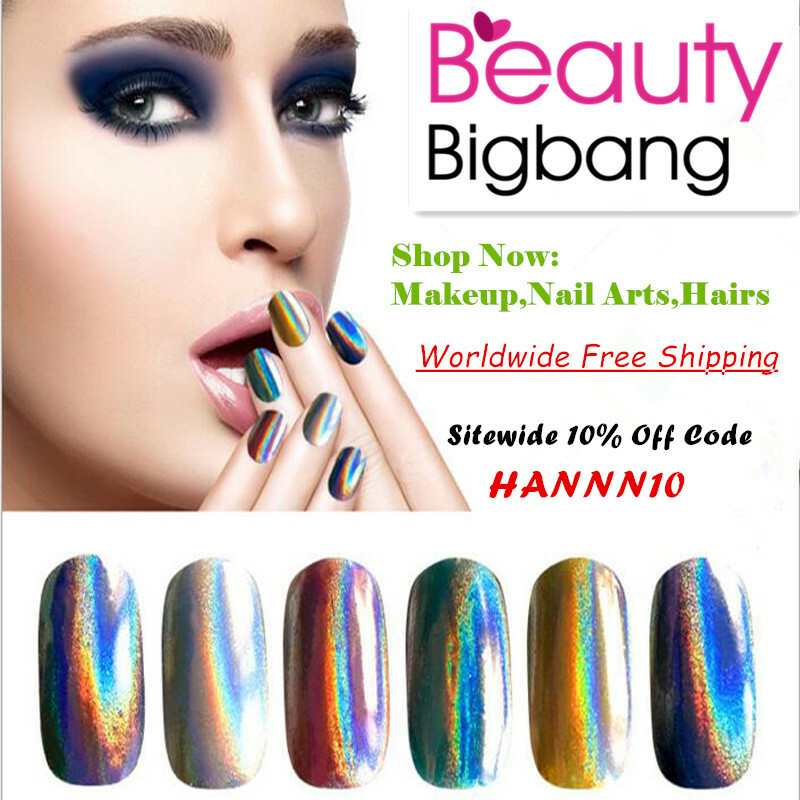 The moment I saw them I knew I had to include them in this nail art.